We use a ruler and a pencil to mark height on a door frame at our place but this is imminently more stylish. The Height Gauge Wardrobe by French designer Sebastian Bergne is part of The Little Collection, a line of eco-friendly contemporary furniture for children. Made of two-tone beechwood, the wardrobe features very clever and practical removable hooks, allowing kids to sling bags and coats within easy reach and stow away the rest. Plus there will be no more notches on the door frame. 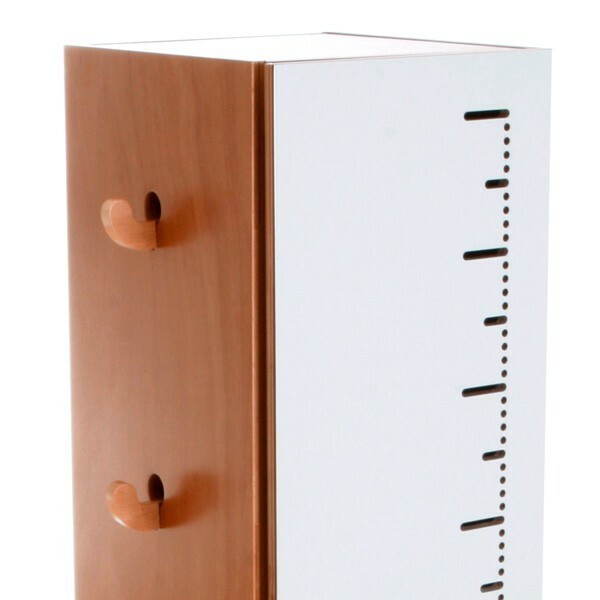 The Height Gauge Wardrobe is €320 and is available from Smallable. Smallable deliver internationally by arrangement.